Park So-dam as "the youngest"
Veteran is an intense cop action comedy along the framework of films like Lethal Weapon and Die Hard. 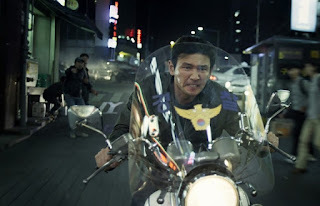 Hwang Jung-min plays Detective Seo Do-cheol who is an above average fighter with a strong sense of justice bordering along the lines of police brutality. His slick wit along with his fellow officers help him to cover up these "accidents." 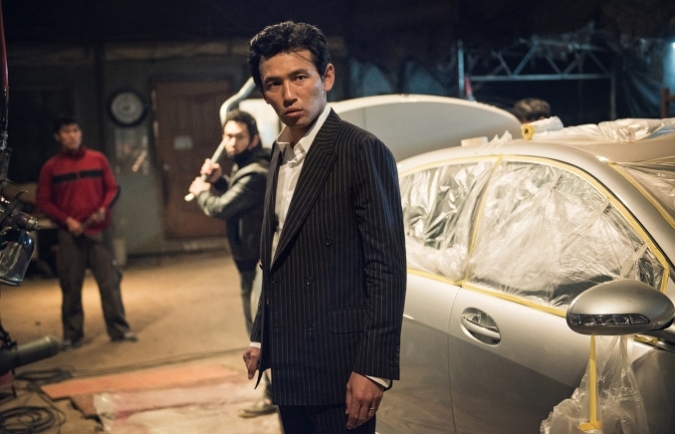 Seo Do-cheol though more than meets his match when he faces off against the sadistic young and filthy rich Jo Tae-oh (Yoo Ah-in) that has a hand in the apparent suicide of a truck driver that helped him on a police case. One of the things that you will love about the film is the action scenes, especially the hand to hand combat that is reminisce of Jackie Chan in the use of objects and not solely relying on fists. 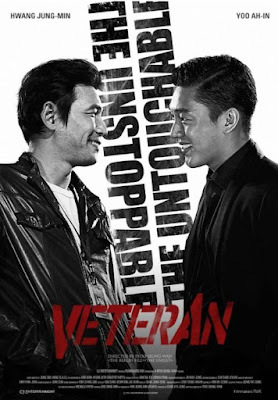 The story is quite far fetch as to what Jo Tae-oh does but at the same time not implausible. Yoo Ah-in does such a great performance in playing Jo that you wish you could grab him from the screen and wipe his smug mug off his face. At the opposite end of the spectrum, you have Seo, who Hwang Jung-min plays brilliantly as well, The dialogue is fun especially Hwang's, which will have you laughing at times despite some of the more serious nature of the film. Aside from being a bit long on the tooth and the plot meandering at times, there is little to fault with the film. Both main characters are a bit over the top and exaggerated in their behavior but that is part of the fun of the film. And while the film does have its comedic elements, the film is more of an action film first with some drama scenes being pretty intense including physical and drug abuse. Overall, I would highly recommend the film which will be playing this coming weekend at the New York Korean Film Festival. It has been awhile since I enjoyed a fun cop film such as Veteran. The film has fun dialogue, incredible action scenes and an interesting twist. My favorite action scene has to be the fight scene at the garage showing the diversity of Hwang as both an action star and comedian.